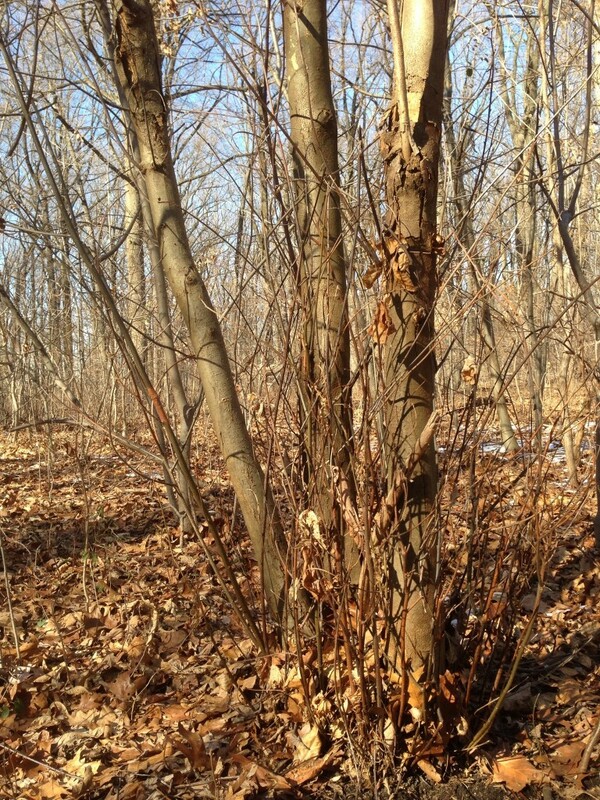 American Chestnut, stems and habit. (Castanea dentata) This specimen, now a multi-stemmed shrub, had briefly reached tree status and created fruit, before the introduced Cyphonectria parasitica fungus killed the maturing trunks, leaving the root system intact, which sent up these shoots the next growing season. Photo taken Sunday, February 10, 2013 in Morris Park, Philadelphia, Pennsylvania. For more on this check out this interesting post on this very specimen in bloom!